If you're looking for heating, air conditioning or water heater services in Idaho Falls or Eastern Idaho, consider giving Doug's Construction and Repair a call. We offer installation, maintenance and repair for air conditioning, furnaces and water heaters, and in the case of an emergency, we also provide 24/7 emergency repair services. However, properly caring for your water heater, furnace or air conditioning is like taking care of a car: it's best to provide regular maintenance, because preventative maintenance is cheaper than emergency repair. We at Doug's recognize that choosing a company for installation or maintenance is a major decision and a financial commitment. There a lot of scam artists out there in the business, so it's important to shop around for the best deals. To help with this, we offer bid matching for any furnace models, which means that we'll match any bid within the same class of furnace. We also have available affordable financing options to help you afford the service you need, and the application is simple, with same-day funding available. If you need Eastern Idaho or Idaho Falls air conditioner or furnace maintenance, we offer new installations as well as repair and maintenance for single and two-stage air conditioning as well as various furnace types, including energy-efficient modulating furnace models. One mistake many homeowners make is to install the wrong type of AC or furnace for their home and ducting, which can lead to discomfort and ineffective heating and cooling. To help avoid mistakes, we take time to determine your home's airflow and any other particulars, and will give you a walkthrough of your options. 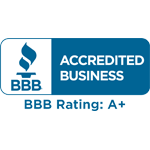 We also recommend and provide our customers with highly-rated brands like Goodman Air Conditioner and furnace models, which have great BBB ratings. Because the average air conditioning repair can cost over $1000, many homeowners prefer to purchase a newer, more reliable and energy-efficient unit. Not only do we provide the best-quality models for sale, but we also offer great deals and affordable prices. Service and maintenance starts as low as $90, and we provide new AC units and furnace models for as low as $35 per month. At Doug's, we also provide experienced and affordable water heater services. We offer installation and maintenance on both tanked and tankless water heaters, as well as boilers. Many homeowners don't realize that brand-new tanked water heaters tend to last only about 8-10 years, and depending on the age of your water heater, it is often cheaper to replace the water heater rather than repair it, particularly if the unit is already beginning to fail. In addition, regardless of the age or type of water heater, all units need annual checking and maintenance. This not only helps prevent your water heater from losing efficiency, but also makes it more likely to last longer before failing. Because we recognize the need for regular maintenance, our water heater service starts at $90, with new heaters available for as little as $35 a month. If you're looking for Eastern Idaho or Idaho Falls water heater, heating or air conditioning services, contact us at Doug's Construction and Repair. Our experienced and friendly service will help you get the best deal on the unit that fits your home's needs, and our maintenance will keep your water heaters, heating and AC units running longer and more efficiently.